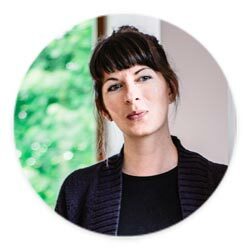 Is there anything better than a cosy bowl of low-carb curry in the cooler months? 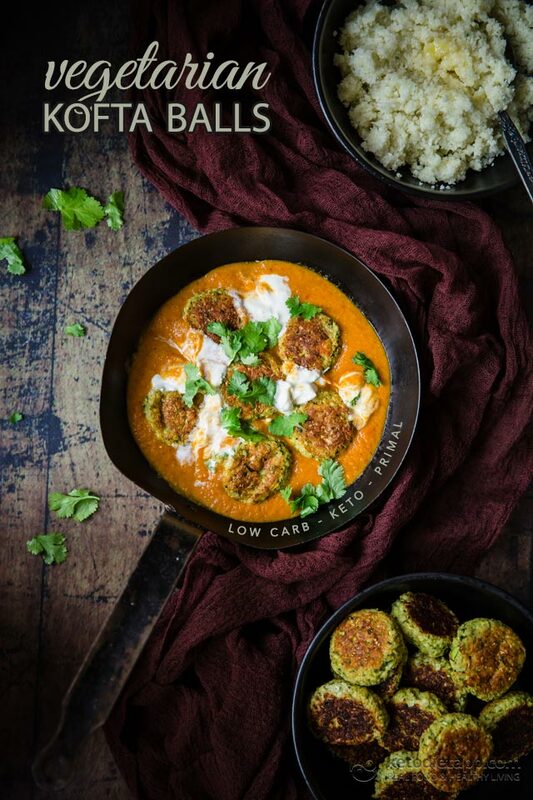 These keto-friendly kofta balls are oven-baked and served alongside a creamy korma sauce. Both are delicious on their own, but together they make a truly delicious meal. Serve them on top of some cauliflower rice or in a keto tortilla/wrap. This is one of those recipes that comes together relatively easily despite the long ingredient list. Both the sauce and koftas can be made ahead to quickly whip up for an easy but impressive mid-week meal. 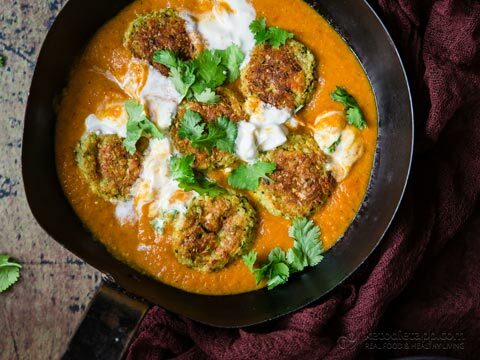 To make the koftas, grate the zucchini and paneer by hand or in a food processor. 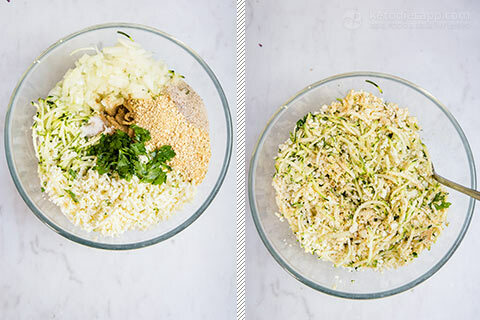 Add all kofta ingredients to a food processor fitted with an S blade, and pulse until combined and broken down to the size of rough breadcrumbs. 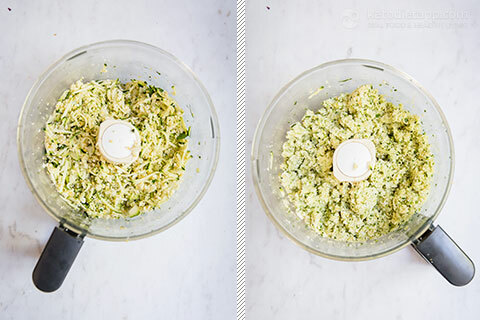 Place in the refrigerator for at least 30 minutes — the water from the zucchini will be absorbed by the lupin flakes which will soften in this time, and the mixture will bind together with the help of the psyllium husks. Preheat oven to 180 °C/ 360 °F. 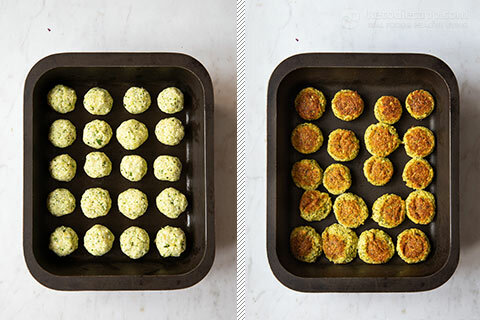 Remove the mixture from the fridge and shape into 20 small balls (about 28 g/ 1 oz each). Place on a greased tray, and bake 30 minutes, turning half way through. Make the sauce while the koftas are baking. Add the onion, tomato, ginger, garlic, chilli, fennel seeds, coconut and water to a high-powdered blender and blend until smooth. 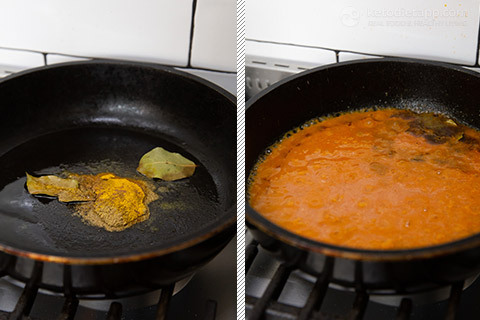 Add the oil to a skillet over medium heat. Add bay leaves and cook for a few seconds. 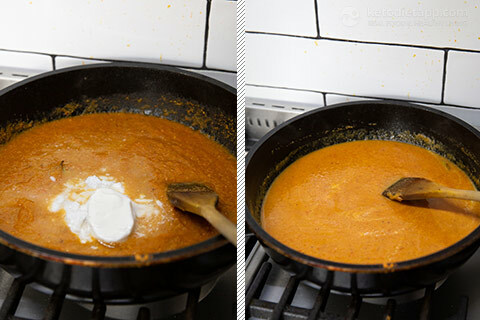 Add the ground spices and mix in, stirring a few times to coat, and then add the tomato mixture. Add the coconut cream and stir to combine. Cook for 8 to 10 minutes, stirring occasionally so the onion gets well roasted. Season with salt to taste. Both the sauce and koftas will keep a few days in a sealed container in the fridge. The koftas are nicest if quickly panfried to reheat. 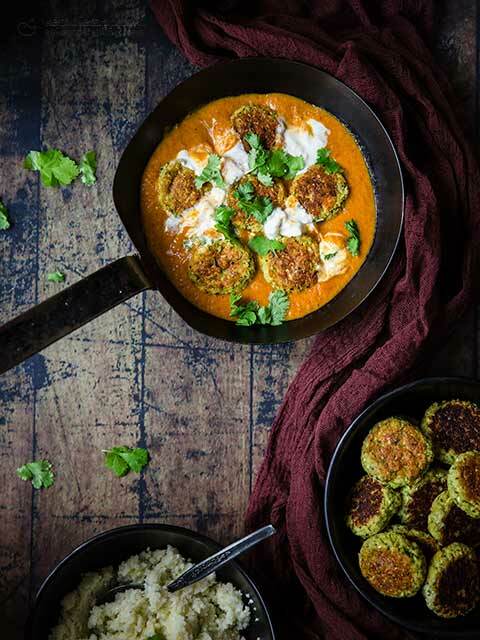 These koftas can be enjoyed on their own topped with a spoonful of the korma sauce. Or, serve alongside some steamed greens, on top of some cauliflower rice, or in a keto tortilla/wrap. So delicious. I love it. I can't wait to try this recipe!! Is the nutritional information for the kofta balls only or does it include the korma sauce as well?